The US treasury would not just forget about the wealth that has been created in the cryptocurrency space in 2017. With the tax law clarification that Section 1031 like-kind exchanges relate solely to real estate transactions, it is clear that Washington lawmakers and influencers are paying increased attention to the new, innovative, and disruptive market of crypto assets. With the recent meteoric rise of cryptocurrencies and tax reform push, it would be hard to ignore the happenings of the fourth quarter of 2017. Despite the correction downward 80% in 2018, many multi-millionaires have been created in the last few years. Unlike some of the ruthless currency trading savvy businessman, the recent wealth that has been created has an altruistic hue to it compared to the long history of trade. The revenge of the tech savvy nerds is upon us! Some crypto assets try to bring banking to the forgotten third world, some tokens are interested in preventing fraud in airline shipping and human trafficking, and some new tokens are designed to save energy compared to the original Bitcoin electricity using juggernaut. Looking at the space as a whole, there are a lot of developers and investors looking to change the world for the better. How can these new millionaires mitigate and defer tax dollars while diversifying their assets away from being so heavily weighted in one sector like crypto assets? A taxpayer donates highly appreciated assets (in this case cryptocurrency) into a CRUT and then immediately sells the assets with the intent on creating a diversified portfolio of income producing assets. The sale of the cryptocurrency by the CRUT does not cause an immediately taxable event to the trust or the non-charitable beneficiaries of the trust. The trust then distributes a fixed percentage of the value of its assets to a non-charitable beneficiary or beneficiaries of the taxpayers choosing. At the death of the last named non-charitable beneficiary, the remaining balance is distributed to the charity or charities identified in the trust. Provided the present value of the remainder interest going to the charity is greater than 10% of the contribution, that present value of the charitable remainder interest qualifies as a current tax deductible charitable donation. A 40 year old taxpayer contributes $1,000,000 of Bitcoin to a trust and assigns a 7% payout rate with themselves as the income beneficiary. Using the IRS discount rates and tables, the present value of the remainder interest going to the charity at death would be roughly $101,000, satisfying the 10% test. Regardless of what the taxpayers’ basis, he or she gets a $101,000 current income tax deduction and also receives 7% of the fair market value of the trust distributed annually until death. The trust is irrevocable and the assets are not included in the estate of the donor. Current income from the trust goes to a non-charity beneficiary of the donors choosing (can be the donor themselves). The donor is entitled to a charitable donation income tax deduction at the present value of the remainder interest in the CRUT. Diversification away from crypto-currency asset to income producing assets. CLT should not be discounted, too. In a charitable lead trust, the income produced by the donated assets goes to a charity but after a specified period of time the remainder goes to a beneficiary of the donors’ choosing. With the current interest rate environment, a CLT may be perfect for those with other forms of wealth that can sustain a lifestyle while waiting for funds to be returned to their use. Another option for highly appreciated assets is a Donor-Advised Fund. This is a charitable giving vehicle that is administered by a public charity to manage donations. The donor surrenders ownership of the property but retains advisory privileges over how the account is invested and distributed to charities. Please note that the donor has no income stream with this arrangement and should only be considered for those with the means and charitable intent this option aligns. Depending on how a taxpayer wants to give, receive income, retain allocation rights etc. will determine be best course of action with a trust. The ability to receive current charitable tax deductions in excess of basis and diversify a portfolio heavily weighted to cryptocurrencies is an extremely effective planning tool to mitigate tax exposure, diversify assets, and create a lifetime income stream. Please feel to reach out to me via the BitTaxer CPA Network. 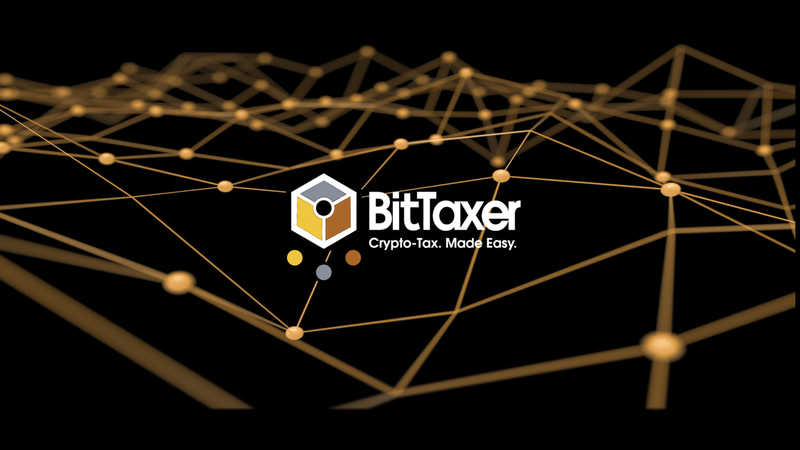 I chose to become an advisor to BitTaxer because the company sought to solve a problem the cryptocurrency community had of correctly calculating taxable income from trading and mining. [BitTaxer] went about it the right way by reaching out to CPA’s like myself who specialize in the field. The owners of the site are incredible people to work with and help me as a tax professional serve my clients to the best and most correct outcome.